BYOB, which stands for Bring Your Own Bottle (or Booze, Beverage or Beer, depending on who’s using the term), used to be commonplace in restaurants. After all, not selling alcohol saves businesses thousands of dollars in necessary licenses as well as provides insurance against any customers being over-served. Today, fewer restaurants let diners provide their own alcohol, most likely due to the rising cost of commercial real estate (especially inside Houston’s 610 Loop). Restaurants often can’t afford to sacrifice the revenue garnered from beer and wine sales. Some places that used to offer it do not anymore. For example, when La Vista closed and relocated to its new Timbergrove location, it discontinued BYOB. Pizaro’s second location in Montrose discontinued beer BYOB but the Memorial location still allows it. So, for beer and wine lovers who want to bring their own special tipple to share with friends over dinner out, knowing which restaurants still allow BYOB is important. There are BYOB restaurants all over town, too, including Spring, Pearland and Humble. Here’s a curated list for excellent dining options that allow BYOB for a low cost — or even no cost — around the city. If we missed your favorite place, let us know in the comments! Aladdin, multiple locations: This popular Montrose Mediterranean restaurant recently expanded to the Garden Oaks area and is serving its delicious lamb kabobs with a side of complimentary BYOB. Diners who dare to tackle the Reaper Challenge at Casian Crawfish are going to need a cold beer — maybe several. Photo courtesy of Casian Crawfish. 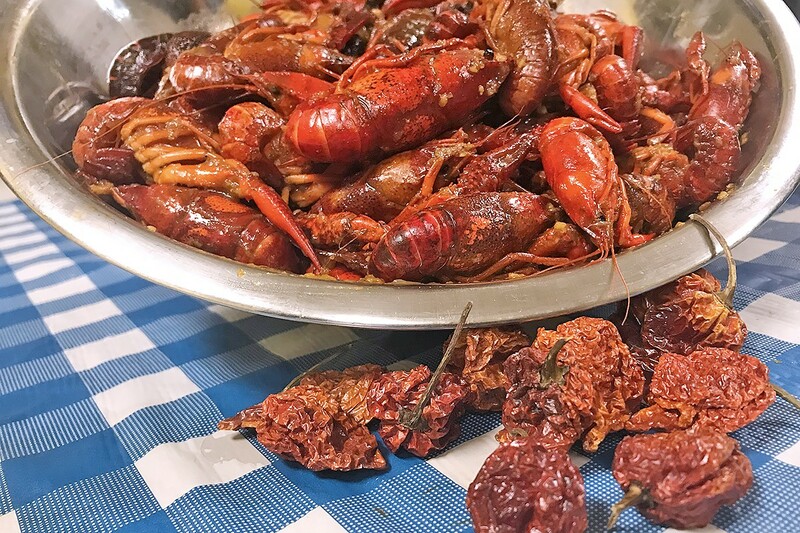 Casian Crawfish, 5314 Telephone: If we’re feeling wild enough to try owner Troy Nguyen‘s insane Carolina Reaper crawfish challenge, you’d better believe we’re bringing plenty of ice-cold beer with us. 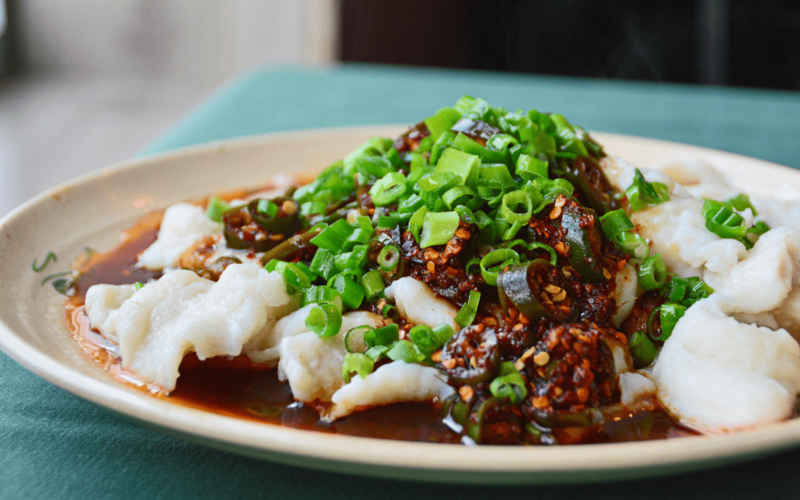 Chengdu Taste, 9896 Bellaire: This Sichuan restaurant may not have been the first in the city, but we’re addicted to the deep-fried chicken with dry chili peppercorns and the toothpick lamb with cumin. Fresco Café Italiano, 3277 Southwest Fwy: This Upper Kirby fast-casual restaurant from chef Roberto Crescini (formerly of Enoteca Rossa) makes more than a dozen kinds of pasta fresh daily. With no charge for BYOB, it’s time to grab a bottle of Italian wine and work your way through the Create Your Own Pasta options. Fu Manchung, 3416 Farm to Market 2920: This Vietnamese restaurant in Spring is known for its carb-free pho. The FU CRU use your preference of vegetables or Shirataki noodles in place of the traditional rice noodles. Those precious carbs can be easily replaced with beer or wine. Himalaya, 6652 Southwest Freeway: Ask 10 people about their favorite dishes from Kaiser Lashkari and you’ll get 10 different responses. There are too many amazing options on this Indian and Pakistani menu. 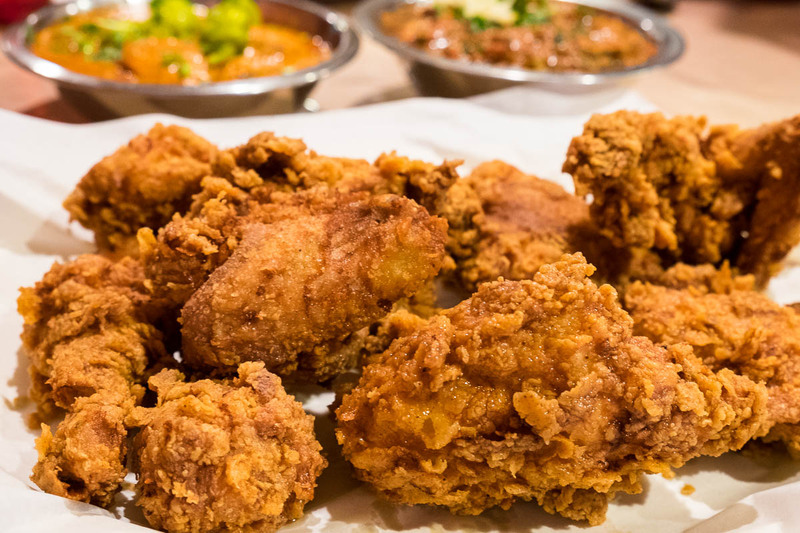 Fried chicken, mutton biryani, and the incredible Pakistani pastrami are just a few of ours. We’ve enjoyed champagne, sparkling rosé, and a variety of craft beers that compliment this menu. Jin Korean BBQ, 8338 West Sam Houston Parkway: This popular Bellaire Korean BBQ restaurant is kept incredibly clean, and the selections never seem to run low. While you might be tempted to grab a six-pack from neighboring Viet Hoa, instead try a citrusy Chardonnay. The meat will caramelize on the grill, and the wine will work wonders on your palate. Just GRK, 11325 Katy Freeway: Gyros and souvlaki are the name of the game at this new West Houston Greek restaurant. A six-pack of Mythos Greek lager would make an excellent accompaniment. Nirvana Indian Restaurant, 14545 Memorial: This fine-dining Indian restaurant in the Memorial area has been serving its halal cuisine for over 15 years. The murgh zafrani, Nirvana’s rendition of tandoori chicken shouldn’t be missed. Nitro Nectar Café, 7560 FM 1960: This café in Humble might be known for its coffees and nitro ice cream, but it also serves sweet and savory waffles. We’d grab a few different stout beers and pair them with bourbon, butter pecan, and English toffee ice cream. Vieng Thai, 6929 Long Point: Pad Thai, boat noodles, and papaya salad are the popular dishes at this Spring Branch Thai restaurant. Service may be a bit spotty at times, but that’s nothing that a 2nd bottle of wine can’t fix. Collina’s Italian Café, multiple locations: For only $2 per person drinking, bring your own wine and make your own pizza at this Italian eatery. After three toppings, any extra are half price, proving that there are deals-a-plenty here. Cooking Girl, 636 Hwy 6: This Sichuan restaurant in Sugar Land lets you bring your own beer for $.99 corkage or bottle of wine for $5. George’s Pastaria, 1722 Dairy Ashford: “Pile it high and sell it cheap” is the motto at this Westside Italian eatery. There’s no corkage fee Monday through Wednesday, and Thursday through Saturday diners only pay $10. Huynh Restaurant, 912 Saint Emanuel: Known for its egg rolls and spicy noodle soups, this downtown Vietnamese eatery only charges $2.50 per person to bring your own beverage. Lucio’s BYOB, 905 Taft: Lucio’s has an excellent wine selection, but the friendly staff won’t scoff if diners choose to bring their own bottles for only $8. The New American menu includes crusted yellow fin tuna and sea scallops. Palazzo’s, 10455 Briar Forest and 2620 Briar Ridge: It’s the pizza that brings people to Palazzo’s, but only charging $8.99 per bottle of BYOB wine is certainly another incentive. Pampa Grill, 10111 Hammerly: There are entirely too many Houstonians who aren’t familiar with this Spring Branch Argentinian grill. The entraña, or skirt steak, is a personal favorite, while only being charged $5 per bottle of BYOB wine is a wonderful option. Pepper Twins, multiple locations: Pepper Twins brings the heat, and you’ll need the $1 corkage on beer or $5 corkage on a bottle of wine to extinguish it. Pepper Twins Chicken and Thai Chili Ribs are excellent choices for beer and wine, respectively. Pizzeria Solario, 3333 Weslayan: It’s more than wood-fired pizza at this Upper Kirby Italian joint, all of the pasta is handmade to ensure the best quality. We’re a fan of the Sugo (the ultimate meat sauce); made of cured meats, pecorino, and tomato on pappardelle. It’ll only cost $5 per table for BYOB wine. Santa Barbara Italian Café, 5020 Broadway: Taste some of “Mamas Homemade Italian Cooking” and BYOB for only $2.59 per person at this Pearland eatery. Tubs namesake poutine is covered with certified angus beef and smoked applewood bacon. Photo by Josh Armendariz. Tubs Poutine, 13429 Briar Forest: Fresh cut fries, cheese curds, and Hennessy oxtail gravy. 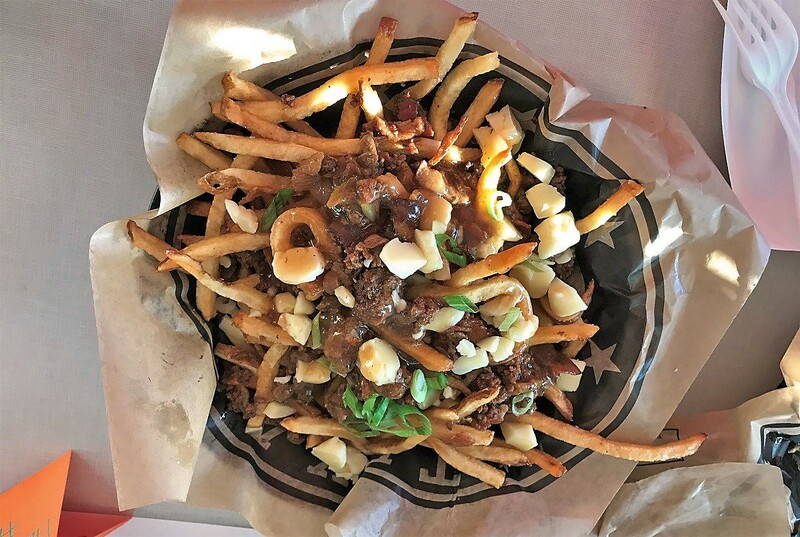 It’s all poutine at this newly opened West Houston restaurant. Tubs also piles its poutine high with toppings such as smoked brisket, pulled pork, and even lobster. BYOB is a one-time fee (per visit) of $5 for beer and $10 for wine. Vietnam Restaurant, 605 W 19th: If you’re in the Heights, here’s what you should do. Put in an order of goi cuon (spring rolls) and bo luc lac (shaking beef) and drink your own wine for $2 a glass. Job well done. 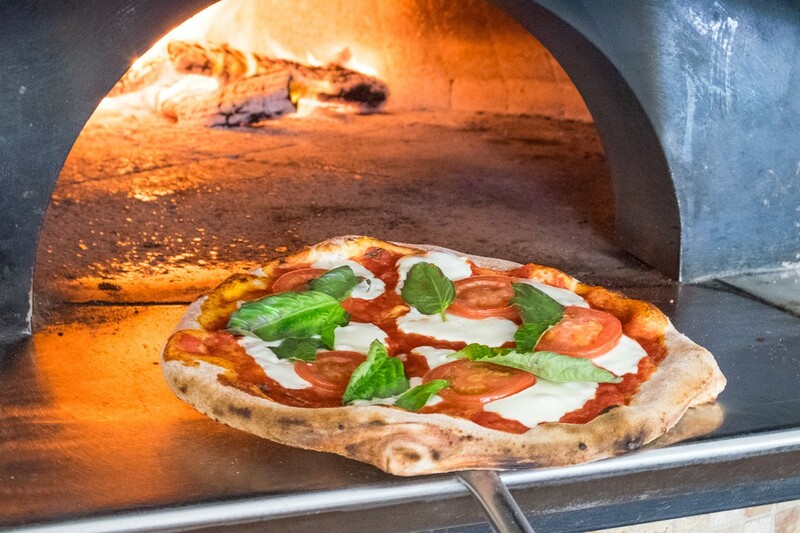 A margarita pizza emerges from the wood-fired oven at Bollo Woodfired Pizza. Photo by Phaedra Cook. Bollo Woodfired Pizza, 2202 West Alabama: The authentic wood-fired pizza is excellent at Bollo, but don’t overlook the linguine carbonara. Diners can also bring their own wine for $15 per bottle. 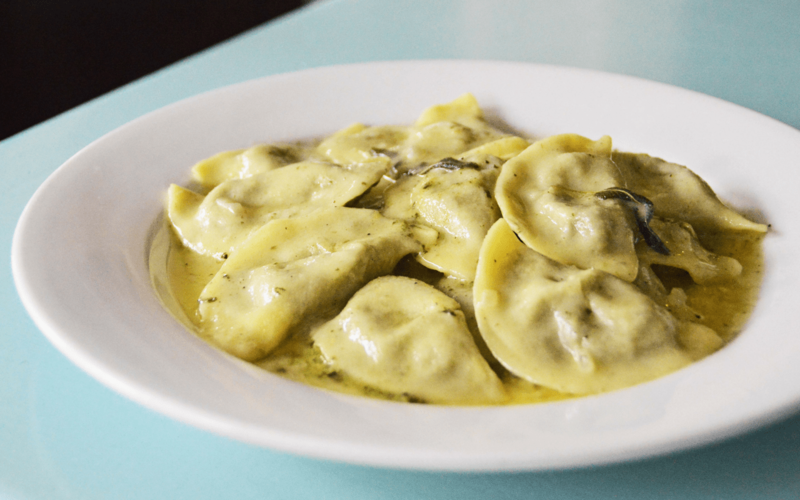 Giacomo’s Cibo e Vino, 3215 Westheimer: This River Oaks Italian hotspot charges $15 per bottle of wine, and is home to many delicious pasta dishes as well as Italian-style small plates and a comfortable setting thanks to chef-owner Lynette Hawkins. Jonathan’s The Rub, 9061 Gaylord: This Memorial-area, American restaurant has a fantastic wine program of its own, but it’s perfectly fine for diners to bring their own wine for a $20 fee per bottle. That does make it the most expensive option on our list, so diners had better pick out some of the best from their home cellars. Most items on the menu are seasoned with Jonathan’s famous spice rub mix, which may sound excessive, but works well. Don’t miss out on the PEI mussels. Just Dinner on Dunlavy, 1915 Dunlavy: Just Dinner has been a BYOB staple in Houston for more than a decade. For only $12, diners can bring their own wine to compliment exquisite braised boneless short ribs. Don’t wait too long to visit Just Dinner—its doors are closing for the last time December 31. Feel free to change my mind in the comments. Meme by Josh Armendariz. Kasra Persian Grill, 9741 Westheimer: This unassuming Persian Grill in the Westchase area has one of the best lunch specials in the city. Each day, Kasra chooses a different dish and serves it with a complimentary side of hummus…but this is no ordinary hummus. 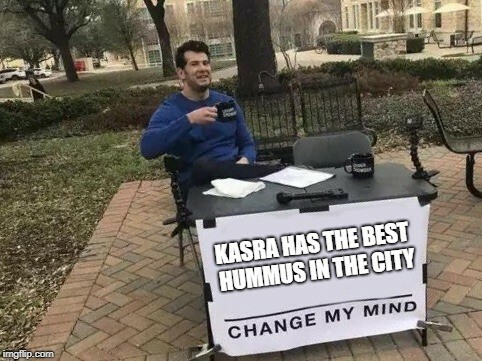 Heavy on the garlic and lemon with a creamy texture, it’s the best hummus in the city. 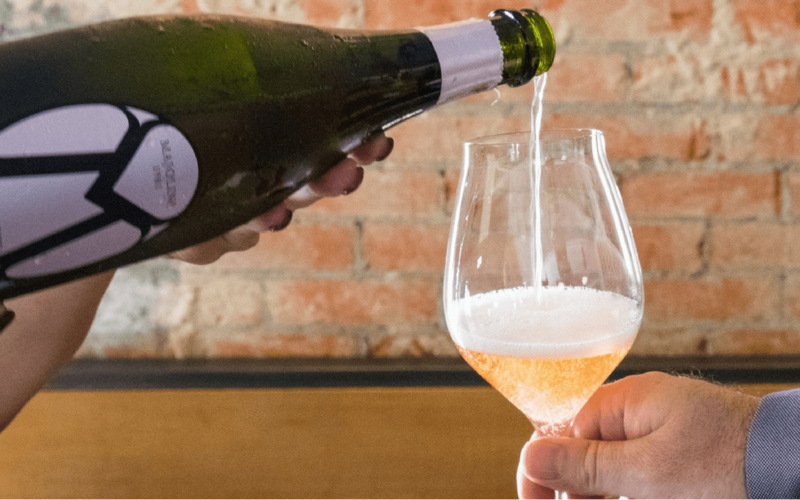 With BYOB wine available for $10 corkage per bottle, a stop at Kasra is a no-brainer. Mala Sichuan, 9348 Bellaire and 1201 Westheimer: Sichuan restaurants and BYOB just might be our favorite combination. Bring your own beer for $2 corkage or bottle of wine for $10. Pizaro’s Pizza Memorial, 14028 Memorial and 1001 West Gray: The Montrose Pizaro’s does not offer BYOB for beer, only wine, but the original on Memorial still offers it for both. It might take longer to open a bottle of wine for a $10 corkage fee than it will to cook your pizza. These 900-degree ovens cook a Napoletana-style pizza in 90 seconds flat. Eccellente! Jenni’s Noodle House, Post Oak and in the Heights, also does BYOB. Thanks so much for the suggestion! We’ll have to check that one out soon. Have a wonderful rest of your day!